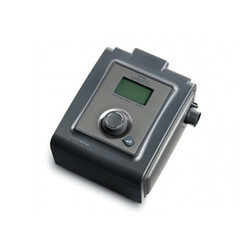 Equipment Rental of a wide range of products which include cpap auto remstar - philips, dream station cpap auto - philips, cpap auto plus blue series-devilbiss and cpap auto plus-devilbiss. The enhanced System One sleep therapy system is designed to deliver exceptional therapy, enhance patient comfort, and provide essential compliance tools. 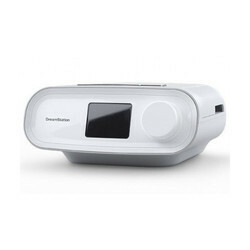 DreamStation devices empower users to embrace their care with confidence, and enable care teams to practice efficient and effective patient management. The DeVilbiss Blue Auto Plus detects and automatically responds to events throughout the night, for the best possible night's sleep. The algorithm in the DeVilbiss Blue sets a new standard of data and performance. Improved sensitivity to a full spectrum of respiratory events means it detects more data and responds to a new level of accuracy, giving the user the most comfortable experience. 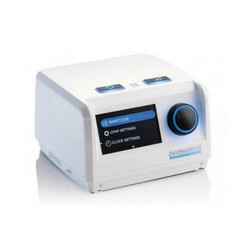 Its powerful logic allows the DeVilbiss Blue to differentiate and report simple Obstructive Apnoea from more complex scenarios, including Central Apnoea and mixed disease. To maximise patient comfort the device uses innovative features such as SmartFlex and Flow Rounding, helping to ensure maximum patient compliance. 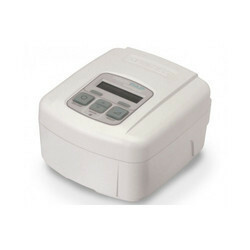 The Sleep Cube Auto Plus is an auto adjusting PAP device with Smart Flex expiratory relief comfort feature suitable for performing overnight titrations in hospital or at home. Unlike the Sleep Cube fixed pressure devices, the Auto Plus automatically adjusts its pressure in response to apnoeas, hypopnoeas and snoring, finding the optimum pressure settings throughout the night. In addition, the Smart Flex and Flow Rounding features provide added comfort for the patient, ensuring a good nights rest. Supplied with 6ft tubing as standard Optional 10ft patient tubing available. Smart Link module and software available for more detailed patient therapy management Data is transferred to the PC via SD card for further analysis and reporting using the Smart Link software package.